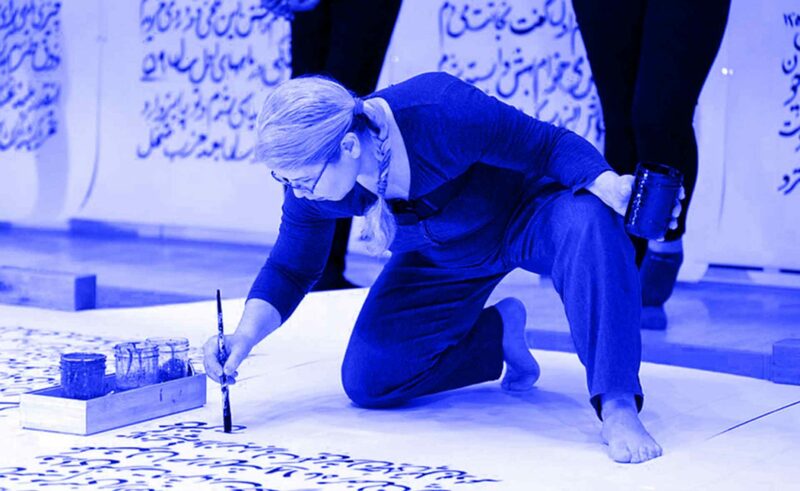 Multiple award-winning artist, Gita Hashemi’s experimental transmedia practice spans over thirty years, and encompasses work that draws on visual, media, performance, site specific and live art strategies. Exploring social relations and the interconnections of language and culture, Hashemi’s work is centered on marginalized histories and contemporary politics, often with an eye on women’s experience. She draws on written text and personal narratives as premise for elaborate and large-scale multi-platform projects that blur the boundaries between artistic practices. She attended the Goatmilk Festival first in 2011 with the project Chronicle of Abandoned Dreams that collected voices of Bela Rechka residents and festival participants reflecting on their personal dreams and social experiences post communism. The project Utopias In-Progress was presented first at the Red House Centre for Culture and Debate in Sofia in 2011. In 2017, the project Grounding: States of Gender, based on the memories of an Iranian woman about sexuality and gender, was selected as the best exhibition of the year by the Ontario Association of Art Galleries. Recent themes include decolonial acts and cultures of resistance, from 18th century East-West encounters and the 1953 coup in Iran to the 1979 Revolution; Indigenous land rights in Palestine and Turtle Island; notions and practices of rights and freedom of movement. Her ongoing project, Emergent, focuses on life histories of women in the first half of the 20th century in Iran.